Before Israel’s creation, Canada’s social democratic party took a sensible, humanist position towards Zionism, but soon it began echoing Israel’s justification for ethnically cleansing Palestinians and invasions of neighbouring countries in 1956 and 1967. Through the 1970s and ’80s NDP luminaries Tommy Douglas, Ed Broadbent and Stephen Lewis made stridently anti-Palestinian statements. In recent years, NDP MPs have participated in the Canada-Israel Interparliamentary Group, Centre for Israel and Jewish Affairs trips to Israel, American Israel Public Affairs Committee (AIPAC) conferences and Jewish National Fund events. At their convention in February 2018, the NDP leadership nakedly suppressed debate on a widely endorsed “Palestine Resolution”. That incident highlighted the party hierarchy’s anti-Palestinianism as well as growing support for Palestinian rights among the membership. 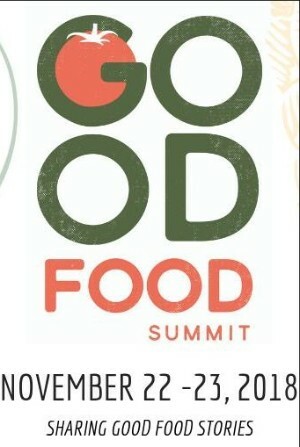 Sponsored by Social Justice Studies, UVic, The Olive Tree Group, UVic and the Young Communist League We would love your help at this year's Good Food Summit. Please find below the volunteer schedule and slot yourself in. The schedule is subject to change as it is still early, but it is a good estimate of what shifts will look like. 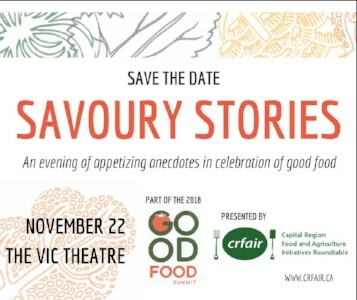 Thursday the 22nd is Savoury Stories, happening at the Vic Theatre. For a free ticket sign-up for at least one Thursday shift. Friday the 23rd id the Main Conference Day, happening at UVic. For a free ticket to this event please volunteer for at least two hours. Many people in BC have already received their referendum ballots! Our volunteers are hearing, "I don't know what proportional systems to vote for on part two of the ballot." We don't want anyone to put their ballot in the recycling bin because they're not sure how to answer question number two! 1) The second question is optional. If you just vote for proportional representation in question one, your vote is counted. 2) All three PR systems share key outcomes in common and they're all better than first-past-the-post. They're all proportional. They all maintain local representation. They all ensure that no region will have fewer MLAs. They all mean you're voting for people - not "appointed MLAs" that the opposition is lying about (see prorepfactcheck.ca). There's a 5% threshold for proportional seats. In other words, they're all terrific options for BC! Talk to your friends and neighbours personally - and send them an email. Change your Facebook profile picture to support PR by clicking "TRY IT" here. It's never been more important to talk to your friends - people are making up their mindsright now. If each of us does everything we can to influence friends, neighbours and colleagues, we can win this! The BC NDP made a commitment to sustainable forest management practices in the last election  -- and we’ve got to hold their feet to the fire. A flood of emails could show the BC government that voters won’t let them get away with destroying Vancouver Island’s last ancient forests. Supa, logging corporations are chopping down trees that are almost 1,000 years old, and they could start cutting the next patch any day now, so we have to act fast. Will you send a message to BC’s Minister of Forests, Doug Donaldson, calling for an immediate ban on logging in critical old-growth hotspots? BC’s NDP government is already under pressure from scientists and environmental groups to put an end to the massacre of BC’s ancient forests -- and a huge outcry from voters could be the final straw that forces them to take action. We’ve created a tool to help you send a message to the Minister of Forests urging him to immediately ban logging in critical old-growth hotspots, and then work with First Nations and impacted communities to implement a science-based Old-Growth Protection Act. But with more old-growth trees being cut every day, we need to act now. Will you send a letter urging the Minister of Forests to put an end to the massacre of Vancouver Island’s remaining old-growth forests? Have you been thinking about launching a crowdfunding campaign to support your cause or project? The upcoming Giving Season is the optimum time to take the leap and get that campaign live. At Chuffed.org, we’re passionate about helping non-profits, activists and individuals learn how to use crowdfunding to grab attention, build an audience and raise much needed funds. Starting November 6, we’re running a free, online accelerator program that’s designed to help you launch a campaign by Giving Tuesday (November 27) and meet your fundraising goals by the end of December. You can expect practical tips and advice, one to one mentorship and a supportive community of campaigners, just like you. We can’t wait to help you raise the funds you need! In a cynical and manipulative last minute maneuver the U.S. has submitted 8 anti-Cuban resolutions that will now have to be debated today in the UN General Assembly before the vote on the blockade will be taken tomorrow, November 1. This fake action by the U.S. government is to create a platform to bash Cuba and manipulate the debate. Cuba is confident that when the vote does take place this malicious hypocritical stunt will fail and like in the past 26 years the vast majority of countries will stand with Cuba and say a resounding NO to the blockade. Despite his image as a “climate leader," Prime Minister Trudeau is still pushing the Trans Mountain tar sands pipeline – a toxic project that, if built, would not only make it impossible for Canada to meet its climate commitments, but would likely spell the end for endangered Southern Resident Killer Whales. And so we find ourselves in the middle of another flawed Trans Mountain public consultation process – the third one in 3 years. We have until November 20th to send a flood of public comments telling the NEB that we still say no to Trans Mountain. A major court victory last August quashed the project because of inadequate Indigenous consultation and because it ignored the impacts of oil tankers on marine life in the Salish Sea. But, like a very seasonal Halloween zombie, Trans Mountain just won’t die. We need to give orcas a fighting chance. Will you join thousands of others and send a fax to the National Energy Board before November 20th? Southern resident orcas are teetering on the brink of extinction. Not only are they dealing with pollution and severe food shortages, but they’ve already lost up to 90% of their ability to echolocate food and communicate in their core habit due to noise from shipping traffic. If the Trans Mountain pipeline is built, the massive increase in oil tanker traffic will be a devastating setback to an already dwindling population. 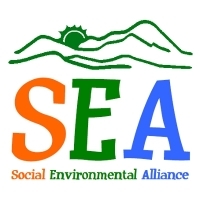 Copyright © 2018 Social Environmental Alliance, All rights reserved.